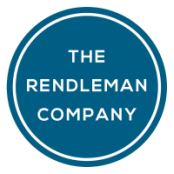 The Rendleman Company was founded in 1982 by William J. Rendleman Jr., CLU, ChFC, LUTCF, as a private insurance education, training and prelicensing company. After graduating from the University of North Carolina at Chapel Hill in 1973, Bill began his career with Prudential, and later worked as the training assistant for Pilot Life. He became a general agent with General American Life in 1982, leading the company and finishing in the top ten nationwide agencies numerous times. For thirty-two years Bill conducted Life and Health prelicensing courses at The Rendleman Company, and currently teaches Ethics each month. ﻿H. Durand Stetler III﻿ joined The Rendleman Company in 1994 and quickly became a valuable asset to the organization. In 1999 he began overseeing daily operations and was named president, working closely with the Department of Insurance and our professional instructors to ensure that we provide relevant and educational content to each of our students. He is committed to creating a positive and professional environment for everyone seeking insurance licensure, and all professionals fulfilling their continuing education requirements. Durand holds both bachelor's and master's degrees from the University of North Carolina at Greensboro. Sarah Andrew, vice president, joined The Rendleman Company in the fall of 2014. She provides expert assistance to candidates interested in enrolling in our prelicensing courses and to license holders with questions about their continuing education requirements. Sarah graduated from the University of North Carolina Wilmington with a bachelor's degree in 2009 and a master's degree in 2013.